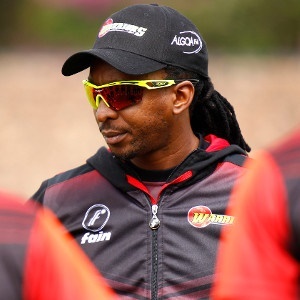 Cape Town - Warriors coach Malibongwe Maketa is delighted with the strides his side has made over the past 12 months, but admits he needs to see even more progress before a proper judgement can be made. The Eastern Cape franchise have enjoyed a solid start to their Sunfoil Series campaign, and just like most of the other sides, have drawn all five games thus far. They are third on the table with 64.84 points, just under 15 behind leaders the Titans (79.68), who are the only side to win a match in 2017/18. Round five of games concluded last week with the remaining five rounds to resume again in February. “Obviously we would have liked to have had a victory but unfortunately it was not to be,” Maketa reflected. “Also the fact that we’ve made great strides from last season in terms of improvement makes us very happy with where we are. “At the start we really wanted to make sure our batters go out there and get runs. It’s something that we struggled with in the past where we just haven’t had enough runs to put pressure on the opposition. Looking ahead to the remainder of the tournament, Maketa felt the Warriors were right in the mix. “We’re very confident about our chances,” he adds. “We’ve got four home games at the back end, which will play a big part in us doing well in the competition. And the Warriors boss is predicting that three wins will be enough to secure the title this year. “We know that three victories is probably what it’s going to take to become outright winners of the competition and that is something we need to look and plan around now that we only have five games left in this competition,” he concluded. Focus now shifts to the shorter formats, with the T20 Challenge scheduled to begin next Friday, November 10. The Warriors play the Knights in the opening round.